On May 16 2011, after several years of watching music videos on youtube, Stefan felt the urge to try a couple of his own songs. The two compositions were called ‘Clouds in Space’ and ‘Molten Lava’. In less than one hour the arrangements were made: main riffs on the guitar played by Stefan (9 yo at that time), Olga (8) sang the vocals and tried the beat on a practice drum pad, and little Cornelia, not yet 5, helped with a few notes on the keyboard. They even had a name for their band – the Crudeles. A very poor video was made that day, with a camera which couldn’t record the audio well. Not much was expected anyway. This game was probably going to be replaced soon by other activities, kids usually get bored quickly and like to try something new. But in this case, the game continued, helped in part by a parental strategic move. At that time, both Stefan and Olga were playing violins in the local Youth Orchestra. Despite the efforts of several great teachers there, the two kids were not fond of classical music. They didn’t like to practice or learn the classical stuff. So when dad asked them to choose between that orchestra and their own band, they jumped right away without hesitation and the choice was made instantly. Thus, the classical orchestra activity was cancelled and they started to work at home, on a different type of music. For several months they learned a few medieval pieces, more likable because of their fairy tales flavor. Each new song got video taped and posted on you tube under the name Children Medieval Band. This game was interesting enough to keep the kids busy. But they were also interested in rock, so one after another, rock songs were added to their repertoire as well. In less than one year they advanced pretty fast and one day they recorded a more difficult piece: Sonne by Rammstein. Like the previous recordings, this video was done with lowest budget equipment. But the product came out good, the performance was great and many viewers liked it, so it became viral on youtube. 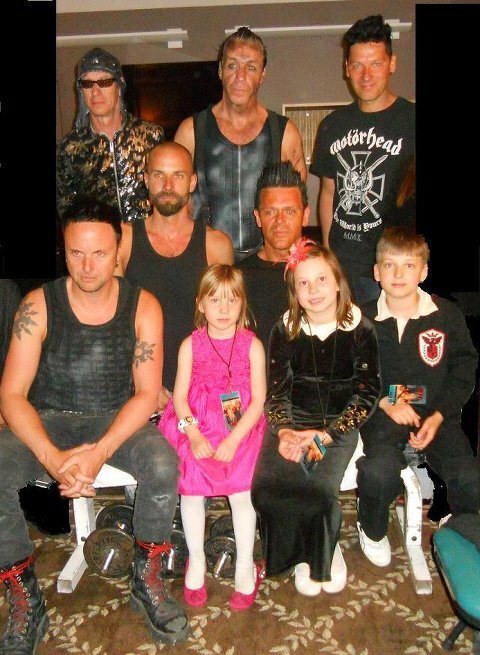 Even the great Rammstein musicians found out about this video, they posted its link on their web site and, one month later, while they were touring USA, the R+ management sent us an invitation to meet them and even play on their stage in the opening. This miraculous event happened on May 20th, 2012 in Denver Colorado. The kids have been R+ fans since early age. Therefore the Denver episode came as a big surprise and enchantment. 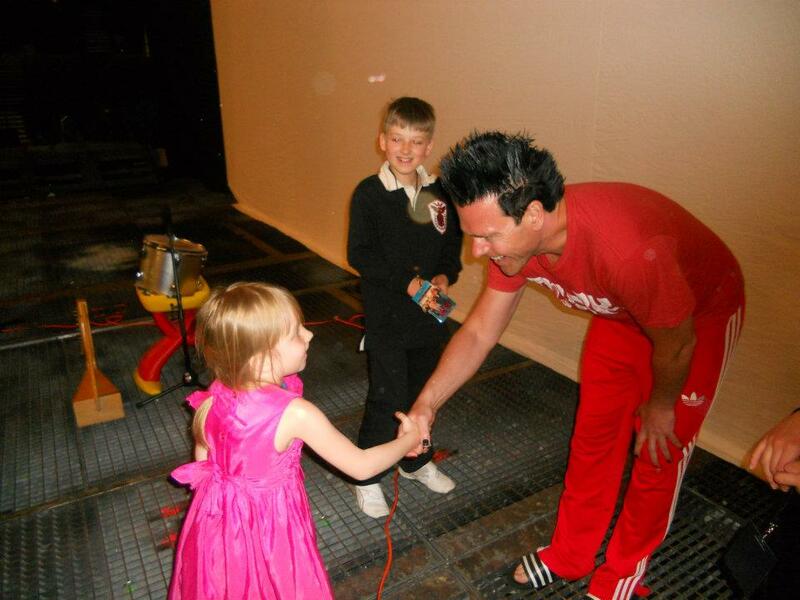 Afterwards, encouraged by this unusual experience, the three kids became more serious about their band. They continued the activity on three different fields: medieval music, history of rock and Rammstein covers (here is a complete list with all CMB videos). During the past two years they worked out 3 more R+ songs, they completed a 15 rock songs repertoire which they played on several live concerts around California and also learned a few more medieval songs. – had the honor to be featured for a few seconds on the Beatles 50th anniversary tv commercial. During the past three years the CMB kids made an amazing progress. They only practice an average of 1 hour daily – there are many other activities: schooling and of course play time. But from the humble beginning to their latest recordings, the advancement is quite impressive. However, the future doesn’t look very promising. There is a lot of indifference and even adversity out there. Regardless, we’ll keep doing our work and the plan is to spend more time on compositions instead of covers. Hopefully next year we’ll celebrate a bit of success with our own songs. And to all our friends: for your support – a big Thank You!